A typical day in the life of Lisa often begins with a car ride. I throw on a pair of shoes [these are my current favorite wedges, thanks to Kristen for encouraging their purchase! 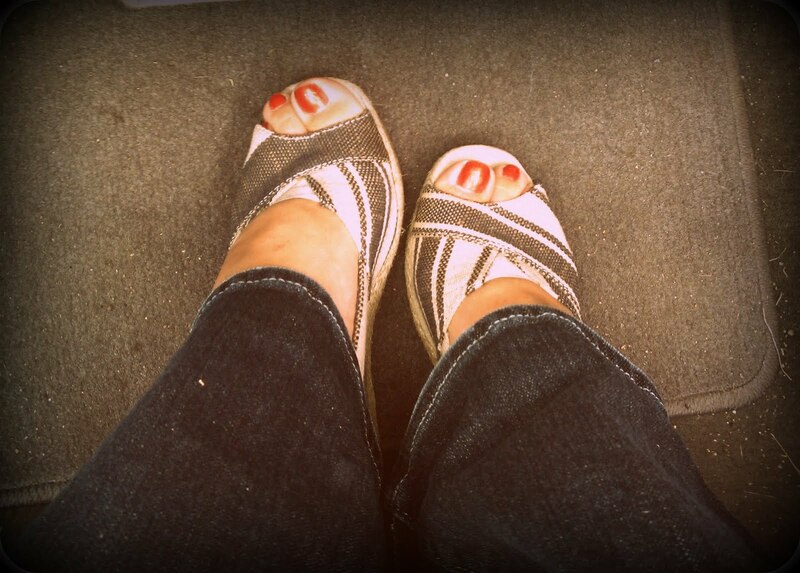 ], hop in the car with my driver husband, and end up at work, a donut shop, or church [depending on the day]. Later we come home, eat dinner, and either take it easy or tackle the project list. We're pretty low-key! One place I've been avoiding lately is the grocery store. As part of the adventure that is budgeting, creativity's been the name of the game as I seek to use only what's in the house. You'd be surprised at what you can come up with using the contents of your pantry! Add a can of whole tomatoes, a can of chickpeas, some garam masala, and you're done! 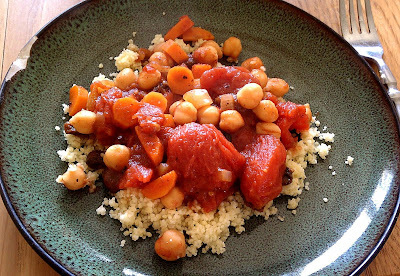 Serve over couscous for a simple, yet tasty, meal. 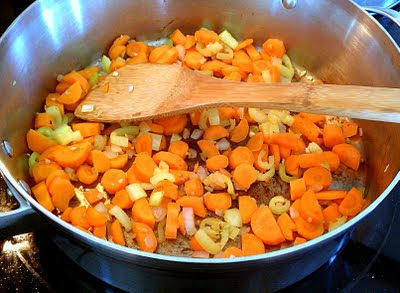 Saute the diced vegetables and garlic until vegetables begin to soften, about 5-10 minutes. Add tomatoes, chickpeas, and garam masala. Heat to a simmer, crushing the tomatoes with your spoon in the meantime. Serve over couscous. Mmmm... Bffff! That sounds good! What it lacks in name, it makes up for in taste!